Over the past 25 years Ben Wong has led the development of the Hong Kong credit & collection industry. His insights into how Hong Kong’s debt collection industry has been changing over the past 25 years are an indispensable read for all those who are involved in international collections. Steve: What was the leading opportunity for you to begin your career in the debt collection field? Ben: I was born and grew up in Hong Kong. I completed my education in Hong Kong which at that time was a colony of Britain and offered an excellent education system. After completing my schooling I started working with an investment management and consultancy firm in early 1980s and eventually joined a local credit reporting company; shortly after I was appointed to the position of Sales Manager in 1984. Interestingly whilst the company was a market leader in reporting there was no real collection industry in Hong Kong during the early eighties. Debt collection in Hong Kong was really handled by lawyers, or by criminal organizations like triads. In 1984, I met my partner Neil Wood, who while being based in Melbourne Australia, was keen to establish a presence in the Asian region. He saw Hong Kong as a natural regional office for south and north east Asia. We found we had a shared vision of building a company that would provide a “one stop shop” approach in all areas of credit management. Through Neil’s experience in investigations and a growing demand for us to expand our services, we ventured into risk management and the provision of investigation services, specializing in fraud cases, as well as business information and due diligence reports. Total Credit Management Services Hong Kong Limited (TCMHK) was incorporated in 1987, and today is recognized as a market leader in the credit & risk management, especially in the debt collection, business and credit reporting, and due diligence investigation. In 2001 Neil established Global Credit Solutions Limited to provide the foundation for like minded entrepreneurs offering both credit and risk management and who were seeking to meet the growing demand for global solutions rather than just a local or national service and TCM Hong Kong became the GCS foundation partner for Hong Kong, Macau and southern China. The past nine years has seen a steady and sustained growth in demand for the group’s services, with my role being expanded into that of GCS Regional Director for Greater China encompassing, Macau, Hong Kong, mainland China and Taiwan as well as Korea and Japan. Steve: At the time you started out in this industry, what was the general landscape of the debt collection industry in Hong Kong? How has it developed over the years as far as the number of agencies, laws, and debt collection activities? Ben: Well as I mentioned above Steve, debt collection back in the early eighties was usually handled by law firms sending out a demand letter then issuing legal proceedings through the courts which was both time consuming and expensive (with no results guaranteed! ), and then there were the triads who would often use stand over tactics, force and harassment to recover debts for their clients thereby giving the collection industry which was in its infancy a bad reputation. During the mid eighties however there were several legitimate collection agencies seeking to introduce professional and ethical standards that would enable the industry to grow and be recognized by the legislature and police as companies that would help to set and improve industry standards. The formation of the Hong Kong Credit & Collection Management Association (HKCCMA) with the assistance of Ms. Christine Loh, a legislative councilor who had taken a keen industry in seeing the formation of an ethical industry association, helped a great deal in developing communications amongst the few companies at that time offering collection services. This was an important step forward as prior to this development agencies saw themselves as competitors and did not meet or discuss matters that were important to themselves or the industry. HKCCMA was officially founded in Dec 2009 with a mission statement “To strive for the preservation of a healthy credit environment in our society through regulating, maintaining and developing the highest ethical standards, professionalism and practices within our industry and of our fellow practitioners.”. I was honored to have been elected as the 1st Chairman in 2000 and have served the same post in the past ten years. I stepped down after my last term for 2009-2010 and the Association’s Chairman is currently Mr. Stephen Lo. Steve: How did the return of Hong Kong in 1997 to China impact your debt collection business and activities? Ben: Steve there was no real affect the industry because the handover had been negotiated over a period of years and Hong Kong was established under the One Country Two Systems rule. This enables Hong Kong to operate as a Special Autonomous Region (SAR) and manages it own affairs with its own laws. China of course is our mother and acts in all matters of Defense and Foreign Affairs but has taken a strong interest in our development and the well being of Hong Kong. I would say the handover back to China in many ways was a positive one because it opened up markets to us, which previously had not existed and the past decade in particular has seen high growth for demand in our services both within China as well as in the international marketplace. Steve: I believe that you are one of the founders and presently the chairman of the Hong Kong Credit and Collection Management Association. What was the impetus for this organization to become established and what is its purpose? Has the Chinese government supported your organization in some way? Ben: Yes you’re right Steve and having attended several ACA International conventions and serving on the Board of Directors and as Chairman of the International Unit I was a strong believer along with Bobby Rozario that we needed to form an industry based association that would act in the interests of not only the collection industry, but also credit managers and staff working in the field of credit. Bobby and I worked together to form the association and with the help of Christine Loh (a former Hong Kong legislator) the HKCCMA became a reality in Dec 1999 and today is the voice of the credit and collection professions in Hong Kong. We were fortunate that ACA came to our assistance in a number of ways, and provided essential advice in how to continue in our development period. Gary Rippentrop, the former long time CEO of ACA International along with my partner Neil Wood were appointed as Patrons of the HKCCMA and gave willingly of their time to assist us in our formative stages. That association with ACA continues today and we have been able to review and adopt many processes that benefit our members. Through our education courses and formal recognition of members qualifications, the HKCCMA has worked and been adept by the Hong Kong government and industry leaders as the voice of the profession, and more importantly has raised the level of creditability given to the important task carried out by credit staff and management. Credit and collection related association is still a sensitive issue in China as the government is still skeptical to the industry (especially debt collection) which is somehow unfamiliar to them. Having said that, I think the situation (recognition) will improve along with the continuous growth of the Chine economy as credit and collection are prerequisite for any economy being and growth. Steve: Where do you see the credit risk management industry heading over the next 5 ~ 10 years, not only in Hong Kong but in China as well? Ben: Good question Steve and an important one because I believe that as China’s role in world affairs continues to grow in importance, bearing in mind its dominant role in production of world goods, as well as its economic growth forecasts over the next decade, so the need for relevant business information and collection services will grow with it. Hong Kong is a gateway (and a unique gateway) into and out of China and of course many Hong Kong manufacturers were moving their production facilities into southern China as early as the late seventies, however Shanghai has gained in importance as a major international city, and these two cities provide the homes for many multi national corporations management who have established business in the mainland. As Chinese university graduates have studied overseas; developed wider language skills and gained a clear understanding of international business practices, we have seen in the past twenty years a recognition of the need to change management practices and adapt to international standards, and this is reflected also in the area of credit management. The use of credit, business intelligence and due diligence investigative reports has grown substantially over the past five to ten years as Chinese finance and credit managers seek to mitigate their risk they face in dealing with overseas buyers and I believe this trend will continue. Steve: Tell me a little bit about your debt collection services. What makes your agency stand out from among the others? Ben: Like most modern day business we use a variety of methods to contact customers (we prefer to call the debtors customers as we may often deal with the same customer on more than one matter) but paramount is the need for all collections staff to undergo full training and to pass our in house examinations prior to them being allowed to make contact or deal with a customer. The training is not limited to but includes ethics, communications, knowledge of relevant legislation (both within Hong Kong and from countries where our overseas clients are located) and most importantly recognizing they are talking on behalf of our client, and seeking to create a “win-win” situation where the customer feels they have achieved by paying the outstanding monies and our client has been able to recover their funds. Contact may be by phone or letter, and in many cases our field staff will call to discuss the outstanding account with the customer. In regards to performance, our various databases and unique investigation skills (every single collector has been trained with this skill) go along with continued sustained growth of clients and referral business are what make us stand out (unique), and whilst I know this may sound like a cliché but I really do mean this, it is our dedicated staff and the expertise they bring to their positions that really makes us a market leader. I’m proud of the work they do and the enthusiasm and professionalism they provide. Bear in mind that whilst there are some over 25 active debt collection agencies in Hong Kong, none of them (accordingly to our market study and clients comments) is possessing the same support (database and investigation skill, etc.) that we have. Along with our ability to provide debt collection, credit reporting and investigation in Hong Kong, we have been also providing the same services in the Greater China region namely, China, Taiwan, Hong Kong and Macao since our inception. 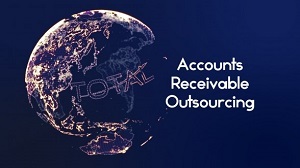 Further to that is our global capability which means we can collect debts, report and investigate in any part of the world through our close relationship with GCS Group and Asiagate, which are two unique groups globally and in Asia Pacific. Steve: Are there debt collection activities that you are allowed to do in Hong Kong that would be restricted in the US or Europe? Ben: I am aware there are specific laws and regulations in certain countries (like US, Canada, Australia, South Africa & some European countries) governing debt collection activities and actions whilst in Hong Kong we do not have the same. The Government here (through Law Reform Committee) did talk about this by seeking views and comments from the public and industry players (like banks, finance companies, creditors and debt collection agencies) in late 1990s whereas decision was made by then that the existing laws and regulations in Hong Kong were adequate to protect the debtors from illegal debt collection actions or tactics when collecting debts. As far as I’m aware, we do have a wider room to collect debts in Hong Kong as long as the contacts (be it physical or verbal contact) are within the legal requirements in Hong Kong whilst some countries do mandate the collection actions be conducted within prescribed hours or locations (for example, there are countries which only allow debt collection activities be conducted from 8:00 am to 10:00 pm daily and contacts should be made with debtor directly through his residence or private number; and disclose or negotiation of the debt is confined to the debtor only and not any third party, etc.). Well, as we do not have the similar types of laws and regulations in Hong Kong, that explains why I said a “wider room” – however “wider room” does not imply that strong arms or illegal tactics can be used in debt collection. Hong Kong is a very regulated city with well established laws and regulations. Steve: Besides debt collection, what other products and services do you provide in which demand has grown significantly over the past few years? Ben: Our core services cover both areas of credit and risk management so include credit reports, business information and due diligence investigations to assist our clients in reaching what can often be critical decisions as to whether they will extend credit and to what extent. Risk management covers investigations into KYC (Know Your Customer), KYE (Know Your Employee), KYS (Know Your Supplier), due diligence and fraud investigations. Each of these is designed to help a client mitigate their risk exposure or where they have found themselves already at risk to assist them in managing and controlling the risk in the best way possible. Consulting services are the other growth service for us where clients are asking us to work with them to develop policies and work place practices that will assist them to manage their company in a professional manner and ensure its long term profitability and viability. Steve: I enjoyed watching your interview from the Hong Kong TV News program. How have internet scams and other fraudulent schemes impacted your agency’s services? Ben: Thanks for your comment Steve. This is a program produced (through real case interviews) by TVB News (the largest TV broadcasting in Hong Kong) to make the public aware that there are reliable, competent and professional companies who will work with and can assist them when needed. The huge increase however in internet scams and fraudulent schemes is continuing at a rate that authorities around the world simply cannot cope with and the decision by so many to invest in schemes without having carried out an effective due diligence process never fails to surprise me. This has led to a very large increase in the number of enquiries from victims of these scams and schemes, and whilst we are able to assist some, it is difficult to tell others to simply walk away, rather than spend good money chasing bad. Steve: What is the one final thought or idea that you would like to leave with this interview? Ben: I’d like to advise your readers Steve to ensure they have firm policies and practices (I meant credit and collection policies and practices – at least if you are in business, any business at all!) that all staff need to be aware of and ensure they are adhered to. They should ALWAYS carry out background checks when exposed to any financial risk, be it investing into a project or extending credit, and be prepared to spend money at the beginning of a transaction to know they are dealing with reputable companies and individuals, rather than have to spend many times more when having to chase those who have taken advantage of them. Steven P. Gan is the President of Stellar Risk Management Services, Inc., a credit risk management consultancy, established in 2006 to support businesses to increase cash flow, expand sales safely, and minimize the risk of selling on credit. Through the Stellar Journal, a bi-monthly publication to over 55,000 recipients, Mr. Gan shares ideas and informs professionals at all levels in the areas of credit, collections, accounting, finance, and sales on a wide array of credit risk management topics and issues.